(NEW YORK) — Your next car purchase may come with this disclaimer: No cows were used in the manufacturing of this vehicle. Leather has long been viewed as the superior choice in automobiles, especially in the luxury segment. Now, some automakers are taking consumers’ concerns about sustainability and animal welfare seriously. A growing number are shunning animal leather altogether or charging customers thousands of dollars more if they prefer cow hides on their steering wheels and seats. Marc Lichte, head of design at Audi, said “vegan leather,” as the German luxury automaker calls it, is a big selling point for customers. Two new Audi concepts — the e-tron GT and e-tron Q4 — will be “animal-free.” Synthetic leather will replace traditional animal leather, and the cushions, armrests, headliner, window trims and center console will be produced with recycled materials, Audi said. Even the vehicles’ floor carpets — made from old fishing nets and plastic bottles — are sustainable. Lichte’s two teen daughters, who are vegetarian, may have played a factor in Audi’s decision to change its practices. “They said to me, ‘I don’t want to sit on a dead cow,’” Lichte told ABC News last month in Geneva. Car shoppers can soon expect to see the “vegan leather” option in other Audi vehicles, a spokeswoman said. Mark Takahashi, senior reviews editor at Edmunds, said non-animal fabrics in vehicles aren’t necessarily a new phenomenon. Cars in the 1950s featured a leather substitute called Naugahyde, a material that looked and felt like vinyl, Takahashi pointed out. The nickname “pleather” quickly caught on with consumers even as automakers tried to distance themselves from the sobriquet. Luxury automakers in particular are embracing the vegan trend. Tesla stopped upholstering the seats of its electric vehicles with animal leather in 2017. Polestar, the high performance brand from Volvo, decided to manufacture its all-electric Polestar 2 fastback with WeaveTech, a “high-end, non-animal based, leather-free, vegan friendly material,” according to a spokesperson. The company, however, does offer Nappa leather — made from animals — if a customer wants it. Polestar 1, the company’s plug-in hybrid, does not have the WeaveTech option. BMW has offered a leather substitute, referred to as “leatherette” or “vinyl” by employees, since 1975. In 2014, the company changed the name to SensaTec to “reflect the more upscale design and feel of the materials,” according to BMW spokesman Oleg Satanovsky. SensaTec, which comes standard on 11 BMW vehicle lines — including the 2 Series, 3 Series, 5 Series, X2, X3 and X4 — is a recycled blend of wool and other materials that’s dyed with plant-based coloring. Satanovsky said one of the main advantages of SensaTec is its durability. BMW customers who buy or lease a model where SensaTec is standard can pay an additional $1,450 to $2,450 to “upgrade” to leather; the price depends on the vehicle and type of leather. BMW’s 6 Series, 7 Series, i8 sports car and M Series vehicles do not offer SensaTec. The company has seen an increase of requests from customers for SensaTec, according to Satanovsky. BMW’s i3 all-electric sedan goes even further in terms of sustainability. The door panels and dashboard of the i3 are made from renewable natural Kenaf plant fibers. The open-pore eucalyptus wood in the car is sourced from a Forest Stewardship Council-certified forestry, and the seat cloths are manufactured from 100 percent recycled polyester, according to BMW. 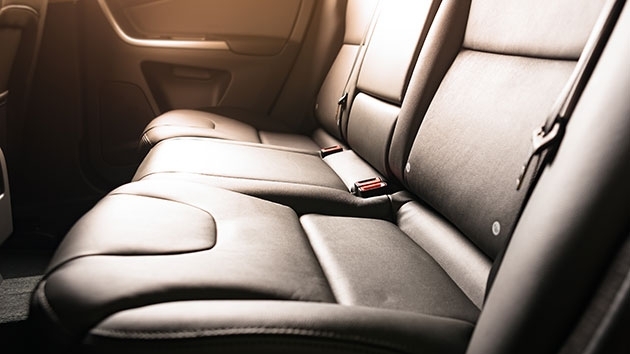 Karl Brauer, executive publisher of Autotrader and Kelley Blue Book, said automakers are making a smart business decision by offering non-leather substitutes. But Brauer cautioned automakers not to make assumptions about customers who choose hybrids and electric cars. “It’s a leap, in my opinion, to assume that because I drive an alternative [vehicle] that I would want non-leather,” he said. Vegan leathers and recycled interiors won’t appeal to all motorists, Takahashi said. “But if you’re a real authentic vegan, you are going to seek out a car with no leather,” he noted. Part of the decision to embrace the vegan lifestyle may simply be the cost. Some automakers are eager to tout their lavish use of leather. Super premium brands such as Bentley, Aston Martin and Rolls-Royce make it a point to explain the origins of their leather and the extensive quality controls employed to ensure the hides are flawless. Moreover, each hide is “rigorously scrutinized for imperfections, and only the finest make it” to the company’s factory in Goodwood, England. The vegan leather trend may not infiltrate the entire automotive segment, but with an increasing number of consumers conscious of industry practices, Takahashi and Brauer expect more automakers to rethink their ways.